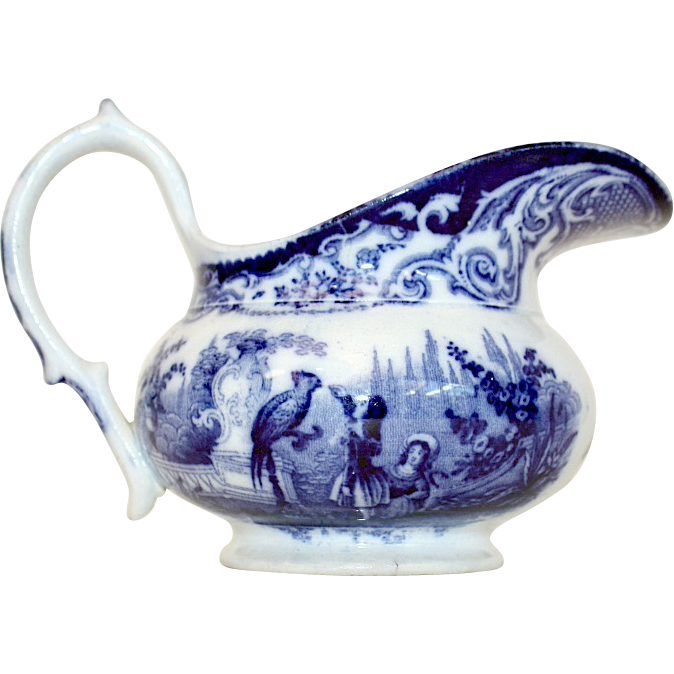 Exceptional 19th Century Transferware Pitcher, dates to 1859, when Guillaume Lambert became the director of a pottery in the city of Maastricht, Holland, which 4 years later became Société Céramique. 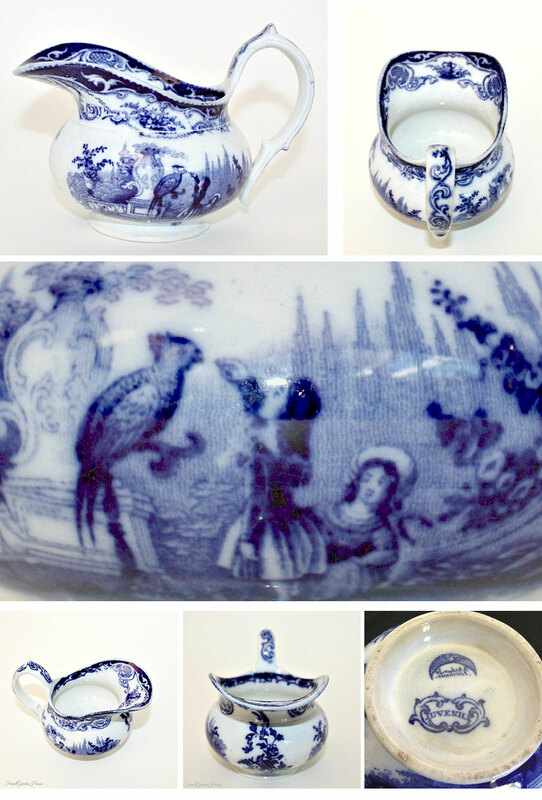 Decorative shape, this pattern is called Juvenile, it features two young girls in a lush garden feeding a large bird. 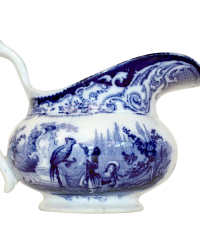 Lovely scrollwork and floral designs trace around the generous lip of this pitcher, the applied handle has scrolling designs.